Young Russian Musicians Struggle Under Government Scrutiny A new generation of Russians born after the collapse of the Soviet Union is coming of age and rebelling against the rules of the Putin regime through music. 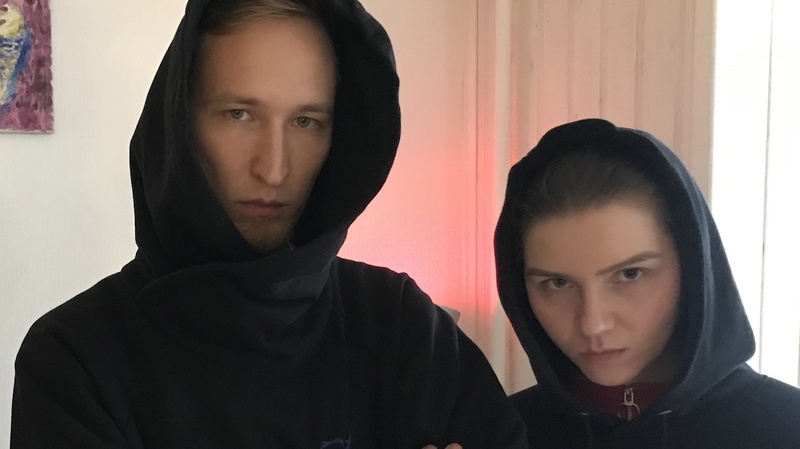 Last December, IC3PEAK's Nikolai Kostylev (left) and Anastasiya Kreslina (right) arrived in the Siberian city of Novosibirsk to give a concert, only to be detained by the police. "In my gold chains, I'm drowning in this swamp," lead singer Anastasiya Kreslina sings. "My blood is purer than the purest drugs." In the comically macabre video, Kreslina describes setting herself on fire on the steps of a Russian government building, indulges in a piece of raw meat at Vladimir Lenin's tomb and plays patty-cake with her partner, Nikolai Kostylev, while they sit on the shoulders of two riot policemen in front of the Lubyanka secret police headquarters. We're describing the state of mind of a person of our generation, who really has nothing to look forward to and can't expect any changes.